"V" for vibrant. "V" for vivacious. 'V' for the Victory of finding that perfect piece with a style that is unsurpassed. Our Two Door Cabinet in Haywood Linen and Brown has "V" plank detailing on front and unique angled legs that hold the cabinet in a snug embrace. With a shelved interior and hardware that is barely seen but easily found, a true Vision of loveliness! 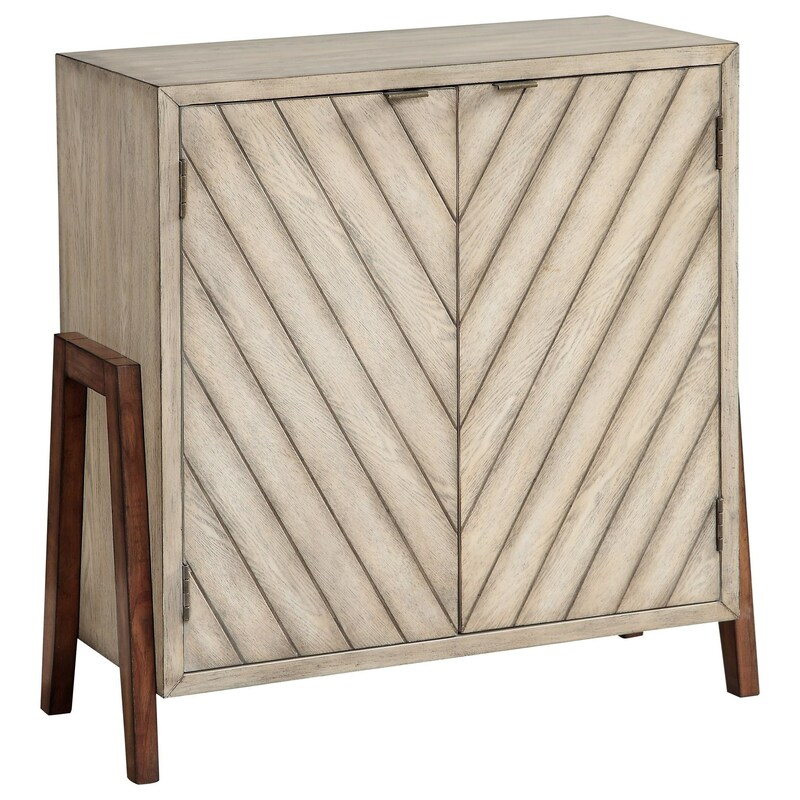 The Coast to Coast Accents Two Door Cabinet by Coast to Coast Imports at Prime Brothers Furniture in the Bay City, Saginaw, Midland, Michigan area. Product availability may vary. Contact us for the most current availability on this product.